Last week, the Marine Conservation Society (MCS) announced that due to reports of low stock levels, haddock had been downgraded in its sustainability rating. Two fisheries saw the status downgraded from ‘Grade 2: Fish to eat’ to ‘Grade 4: Should not be considered sustainable and the fish is likely to have significant environmental issues associated with its production’. A third was reduced to ‘Grade 3: Eat only occasionally’. However, the Scottish Fisherman’s Federation (SFF) are fighting back against the new rating, which they claim is not scientifically based and basically amounts to vandalism. The MCS makes their assessment based on findings produced by the International Council of Exploration of the Sea (ICES). ICES reported in November of last year that the fishing of haddock in the North Sea and Western Scotland must be reduced by a massive 47% from the previous year if the fish was to maintain its ‘sustainable’ label. “We are really disappointed with this. 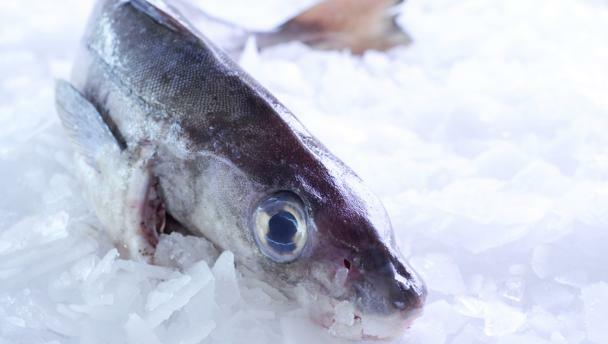 From the top there is a defect in the logic of these guides and it’s a perversity because as a fish stock the North Sea haddock is a wonderful example for which good science is available. “The consumer may now say well I’m not going to buy that and the retailer no longer stocks it or throws it away after it’s already been sustainably caught and then the lights go out in coastal fishing communities. This could actually have an adverse effect on an industry which is doing its damnedest to really be sustainable. We are seriously unhappy. “THE MCS’ reasoning sounds plausible but it doesn’t bear any logical explanation. Several years ago they did the same thing with mackerel and a few years before that they did it with monk fish. They aren’t Scientists. It’s light work advocacy thinly disguised as science, and this is the equivalent of irresponsible vandalism. Despite the efforts of the SFF, I wouldn’t expect the MSC to back down on this one.